It’s not like I’m an “elder”–an old sage or anything. Some might even consider me to still be a “youngster” (hey, a girl can dream, right?). Regardless, I believe I’ve lived long enough now and have experienced enough to share this important reflection; Find at least one passion, then live it out as best as you can throughout the course of your life–not just when you get older and are considering opportunities missed. We get so caught up in daily routines. We become slaves to the demands of life and the restrictions placed upon us as we grow up. The sacrifice is usually our own happiness. It seems our happiness gets chipped away at–slowly. We give a little here…then a little there…then one day we might be forced to take a good, hard look and might be startled by what we see in front of us. Finding peace and balance–Deuce helping me restore my energy. If you’ve let too much of your happiness slip, don’t rush out and upend your life in order to try to restore the balance. Instead, start in bite-sized portions that are digestible. You’ll likely find comfort in even the small, meaningful changes and want to seek out more. I know this is a “bird dog”, Vizsla blog and so, this post might seem out of sorts. But, it isn’t really. Many years ago, I stumbled upon this incredible, unique breed and fell massively in love. Then, I stumbled into learning about how to train and show bird dogs. I was like a fish taking to water. A city-girl who didn’t grow up hunting this new world, strangely, felt so very comfortable to me. I found such peace as the hours slipped by while I was out in the field with my friends and Vizslas–learning. Then, I didn’t realize how important all of those hours and experiences were to my overall happiness. I was making regular deposits into my “personal happiness” savings account. An account that will stay with me throughout my entire life and one from which I will draw from regularly so as to remain balanced in life. I need to continue making regular deposits too…working on that a little harder these days. My latest inspiration has been the addition of a couple of amazing creatures–a pair of gaited horses named Deuce and Candyman. Deuce is a Peruvian Horse and Candyman is a Tennessee Walker. 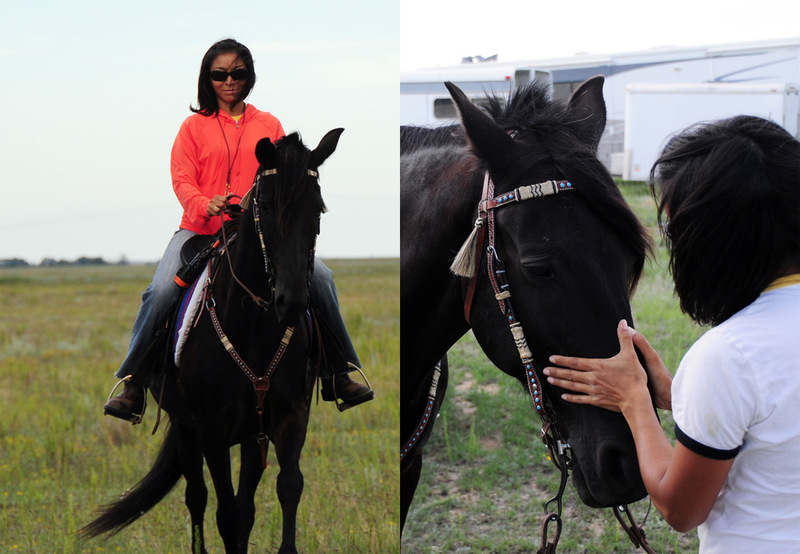 Given I didn’t grow up with horses, adding them to my family has been a whole other level of learning–and discovery of myself. It’s almost impossible to describe the connection I’ve found with Deuce and Candyman. I’ll work on it though…perhaps that will be a future post to my blog. 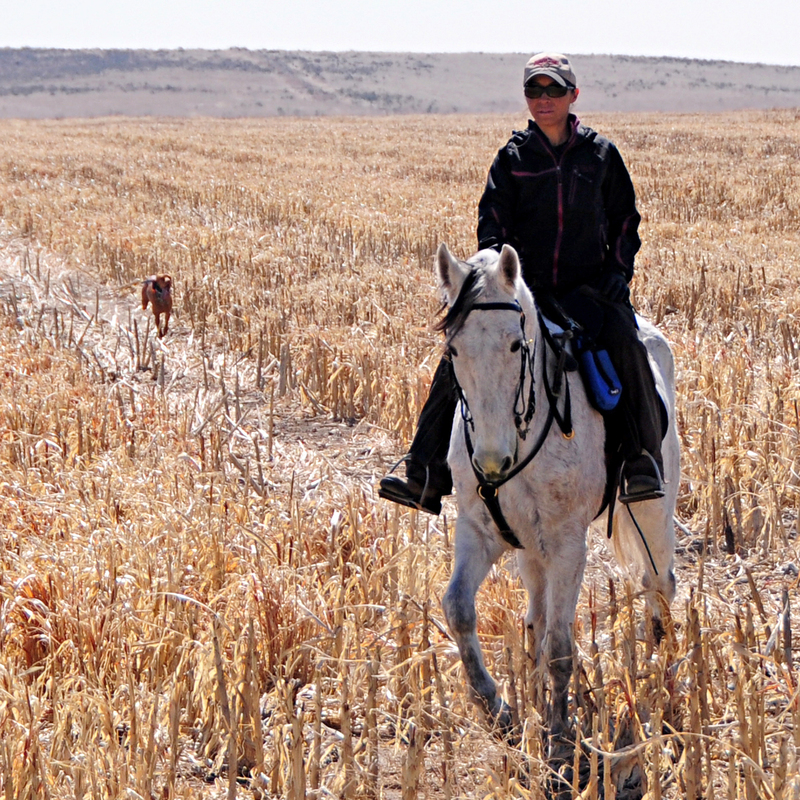 Me and Candyman–riding the wide, open fields in Kansas. Lots of time to consider just about everything when out here for hours watching bird dogs. ← Vizsla Puppies Due Mid-December 2013! !